Lock in a great price for Royal Sun – rated 9.2 by recent guests! Staff, accommodations (Europe specs) and location were excellent. It is located on a hill and our room had a really great view. From up there, you could see the city and the sea. The breakfast was very good, and the restaurant view was the same as our view from the room. Really clean, the stuff was friendly and the room looked pretty modern. I also liked the fact that every floor had a private parking. We rented a car from airport and we had no parking problem at the hotel. I recommend it! 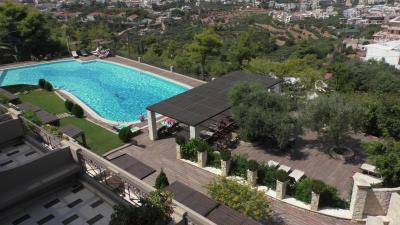 Great pool area, good restaurant and free regular shuttle to Chania. Free washing and drying facilities were a plus. Beautiful sunset from the balcony of our sea view room with comfortable chairs and tables and a small expanding clothes line. WiFi is excellent as is the room service as you can order from the restaurant menu. Huge thank you to Roula for your hospitality. Always super friendly and always has an awesome smile!!! 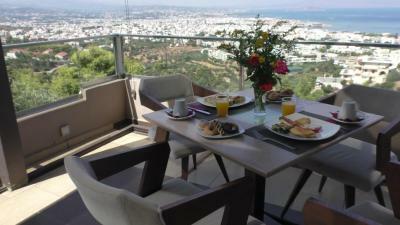 Great place with an amazing view which you just cant get anywhere else in Chania. The shuttle bus to town is awesome and all hotels should have this. Stunning view, great reception staff, fabulous breakfast. The half hourly shuttle bus to/from town is amazing. Breakfast was great! View from hotel is lovely! Handy shuttle to the harbour! The Royal Sun Location was superb! Our staff was friendly, very attentive, courteous and responsive. I loved everything about the Royal Sun from the moment they picked us up at the airport to upgrading our room to accommodate my sister with a disability. In addition, the bar and food were available late in the evening. We have great amenities in the room, coffee, tea and a refrigerator. All in all, they exceeded my expectations! The staff was very friendly and very nice to all hotel clients (including us). The room was very clean and had an amazing sea view from the balcony. I was pleased to see that the photos reflect the reality. The breakfast was wonderful and plenty. I was very happy to see that even a late breakfast is as full as the early one. The staff is very organized and very interested in clients. 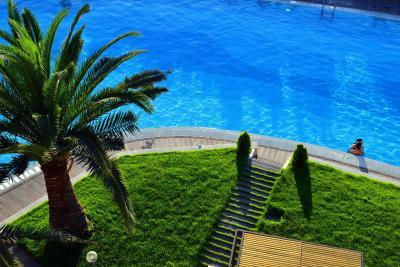 The pool was amazing and very well maintenaned by the staff. I was pleased also by the 3 places (levels)of parking. If you go as higher as you can you will find a great parking with an amazing view. I also loved the multi options to get to the room: outside stairs, 2 elevators, inside stairs. I will absolutely recommend this hotel. Our room was comfortable and had a great view of Chania. The shuttle service to town was great! Breakfast was wonderful. Royal Sun This rating is a reflection of how the property compares to the industry standard when it comes to price, facilities and services available. It's based on a self-evaluation by the property. Use this rating to help choose your stay! 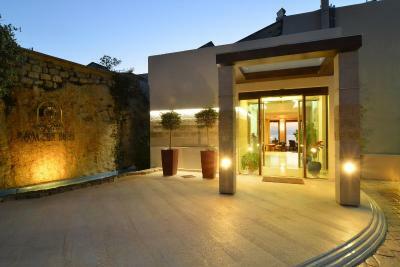 One of our top picks in Chania.Featuring a restaurant and a pool with terrace in its palm-tree garden, the Royal Sun is within 2 miles of the center of Chania Town. 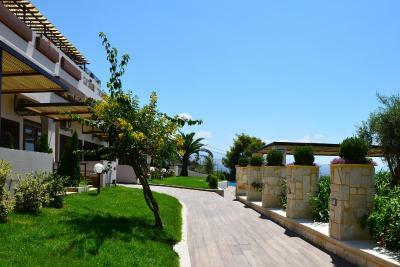 It features air-conditioned accommodations with free Wi-Fi and a private balcony overlooking the Cretan Sea and the town. Fitted with floor-to-ceiling windows, the rooms at the Royal Sun are decorated with green-wood furniture and soft colors. Each unit has an LCD satellite TV, a safe and a fridge. A hairdryer and free toiletries can be found in the private bathroom. 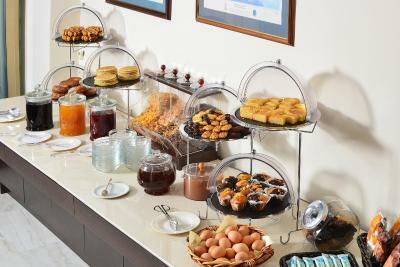 A buffet breakfast is served daily at the dining area, and guests can also enjoy Greek and Mediterranean dishes at the on-site restaurant. Coffees, refreshing drinks and cocktails are served at the lounge bar throughout the day. Sport facilities include a fitness center and a ping-pong table. The staff at the front desk can arrange car rental and can provide currency exchange services. 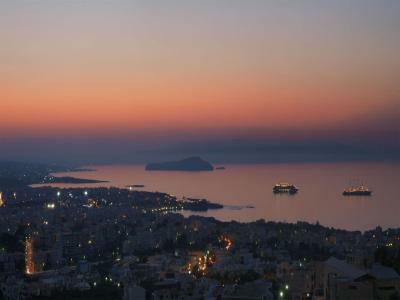 The Royal Sun is 3.5 miles from Souda Port and 7.5 miles from Chania International Airport. 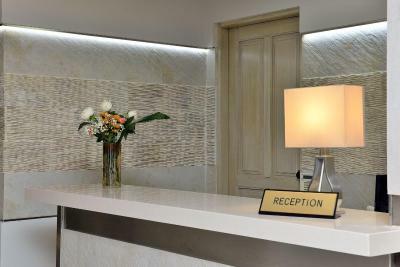 The staff at the 24-hour front desk can provide information on the scenic Venetian Port of Chania,2 miles away. Free private parking is available on site. When would you like to stay at Royal Sun? 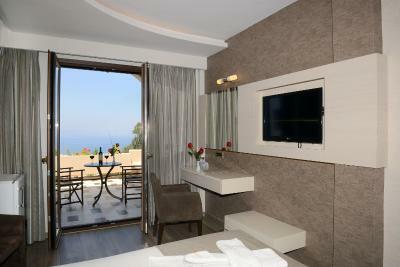 This double room has a tile/marble floor, sitting area and cable TV. Featuring sea, pool and city views from its spacious balcony, this air-conditioned room comes with a flat-screen, satellite TV. It features a mini fridge and a hairdryer. Free Wi-Fi is provided. Please note that the room and bed type will be allocated at check-in according to availability. Guests may be asked to change rooms during the stay, and types may vary. House Rules Royal Sun takes special requests – add in the next step! Royal Sun accepts these cards and reserves the right to temporarily hold an amount prior to arrival. 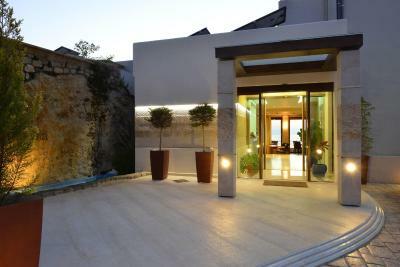 Please note that the property provides free 2-way transportation from the center of Chania. Please inform Royal Sun of your expected arrival time in advance. You can use the Special Requests box when booking, or contact the property directly using the contact details in your confirmation. The hotel was not in the best place of Chania city, but I would say the view from the restaurant is the best so far we have seen. The personal is very friendly and professionally. They also have free shuttle to the city center and back, so you doesn’t need to think about busses, taxis and etc. Everything was perfect, thank you. Really loud at night so unable to sleep. Found it difficult to get useful information out of reception staff. Pool too cold to use. The complimentary bus went without us on one occasion despite us being there on time for it. Not much... Great place and location for business trip. Room was a bit musty on arrival, but otherwise fine. Staff were amazing!! 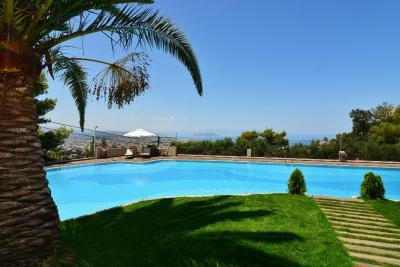 The property is in an ideal location to enjoy Chania and an amazing view. My evening meal was great, and breakfast in the morning was varied, fresh, and ample! Return to this hotel once or twice a year. Always a lovely welcome and pleased to say many consistent faces amongst the very polite and accomodating staff . Consistently clean well cared for and comfortable rooms and public places. Everything was wonderful, especially the friendliness at the restaurant! The Reception was also excellent and the driver who took me to the centre of Chania was extremely courteous. A HUGE thank you to ALL! Fantastic place for breakfast. From the 1st time i get there, i can t wait to sleep and wake for the breakfast!! The shower is maybe a little bit too small. 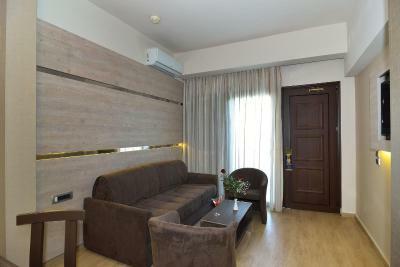 Rooms were exceptionally clean and comfortable- everything one could need was there. 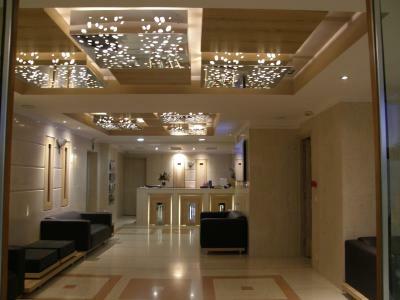 This is a lovely hotel and the staff were very friendly and helpful. Restaurant very good with excellent food and service. It was a real bonus to have the shuttle bus to the town with George as our tour guide.